Dell PowerEdge R515. iDRAC6 Drac 6i. Dell PowerEdge R510. Dell PowerEdge R610. Dell PowerEdge R710. 1 X IDRAC 6 ENTERPRISE. DELL POWEREDGE T310. DELL POWEREDGE T410. • Dell PowerEdge Y383M. • Dell PowerEdge K869T. • Dell PowerEdge R410. 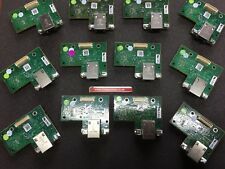 1 x IDRAC6 ENTERPRISE. • Dell PowerEdge R510. • Dell PowerEdge R610. • Dell PowerEdge R710. • Dell PowerEdge T310. What is pictured is generally what you will receive. While we endeavour to use pictures of the actual item, this is not always possible when we have more than one for sale. Server & Networking Components. PowerEdge R210, R310, R410, R510. 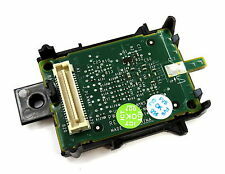 1x Genuine DELL iDRAC 6 K869T/0K869T Enterprise. 4GB kit (2x 2GB) PC2-3200R ECC REG 240pin 400Mhz. What You Will Receive. Dell PowerEdge R515. iDRAC6 Drac 6i. Dell PowerEdge R510. 1 X IDRAC 6 ENTERPRISE. Dell PowerEdge R610. Dell PowerEdge R710. DELL POWEREDGE T310. DELL POWEREDGE T410. DELL IDRAC 6 ENTERPRISE CARD. Ending Soon. New Arrivals. QUICK LINKS. we do not take any responsibilty after this. you can buy in set of 6 max. Why Choose Us! DELL IDRAC 6 ENTERPRISE CARD. Ending Soon. New Arrivals. QUICK LINKS. we do not take any responsibilty after this. Monitor & TV. Why Choose Us! Audio Visual. Suitable for: Dell PowerEdge R210. Dell PowerEdge R410. Dell PowerEdge R510. Dell PowerEdge R515. Dell PowerEdge R610. Dell PowerEdge R710. Dell PowerEdge R810. Dell PowerEdge R910. 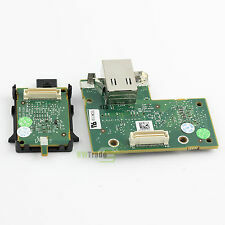 Dell Part#: Y383M, JPMJ3 OR EQUIVALENT. • Dell PowerEdge Y383M. • Dell PowerEdge K869T. Dell PowerEdge R310. Dell PowerEdge R210. Dell PowerEdge R210 II. Dell PowerEdge R510. Dell PowerEdge R410. • Dell PowerEdge K869T. • Dell PowerEdge T310. • Dell PowerEdge T610. • iDRAC6 Drac 61. 1 x IDRAC6 ENTERPRISE. • Dell PowerEdge R410. • Dell PowerEdge R510. • Dell PowerEdge R610. Model K869T. Compatible System Model PowerEdge R610 R710. Compatible Model PowerEdge R610 R710. Card Type Remote Access Card iDRAC6 Enterprise. Type Remote Access Card iDRAC6 Enterprise. Computer Model PowerEdge R610/R710. Great Part to replace the broken and non working IDRAC6 ENTERPRISE. Dell PowerEdge R510. Dell PowerEdge R410. Dell PowerEdge R610. Dell PowerEdge R710. Best choice for computer. New Original and High quality. C ompatible for: Dell R210 R310 R410 R415 R510 R515 K869T. Type: Enterprise Remote Access Card. 1XEnterprise Remote Access Card. Note: Due to the difference between different monitors, the picture may not reflect the actual color of the item. Part Number. UPC Does Not Apply. Modified Item No. Form Factor. Dell J675T K869T× 1. We stand behind our products.